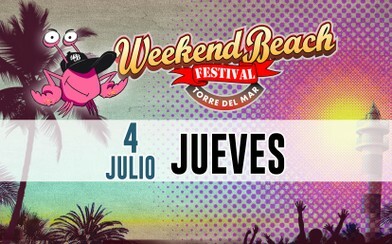 This ticket gives an adult (18+) general access to Weekend Beach Festival 2019 for 4 days, Wednesday 3rd July - Saturday 6th July. Camping is not included. This ticket gives an adult (18+) general access to Weekend Beach Festival 2019 on Wednesday 3rd July. Camping is not included. 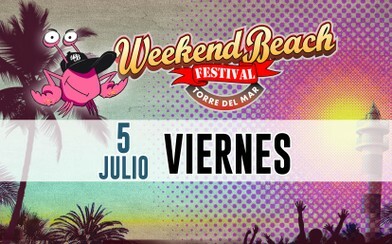 This ticket gives an adult (18+) general access to Weekend Beach Festival 2019 on Friday 5th July. Camping is not included. 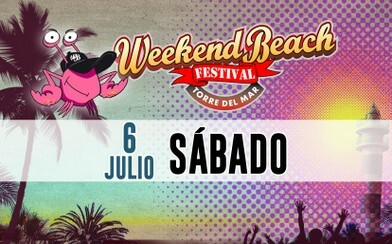 This ticket gives an adult (18+) general access to Weekend Beach Festival 2019 on Saturday 6th July. Camping is not included. 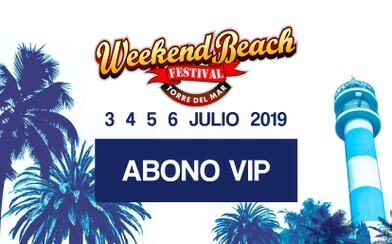 This ticket gives an adult (18+) access to the VIP Zone of Weekend Beach Festival 2019 for 4 days, Wednesday 3rd July - Saturday 6th July. Camping is not included. 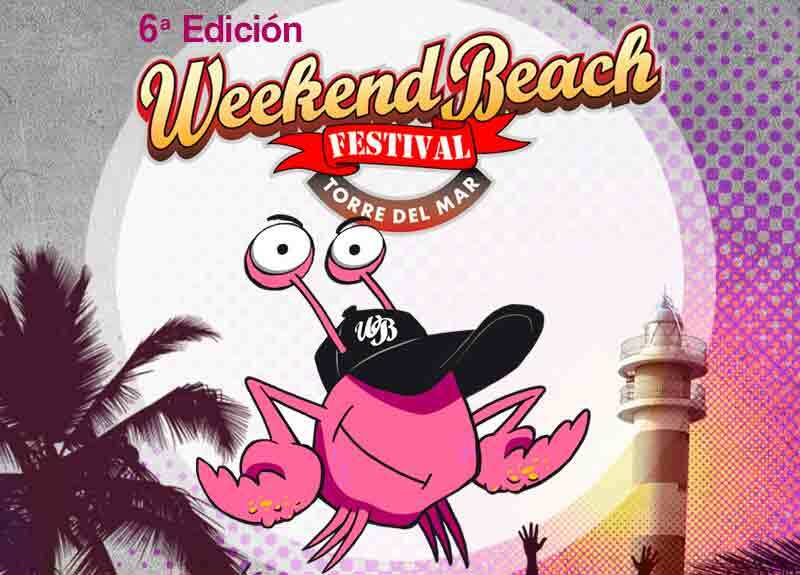 It includes car parking and Official Festival Merchandising Pack. This ticket gives an adult (18+) access to the VIP Zone of Weekend Beach Festival 2019 for 4 days, Wednesday 3rd July - Saturday 6th July, and access to the VIP camping area for 5 days, Wednesday 3rd July - Sunday 7th July. It includes car parking and Official Festival Merchandising Pack. This ticket gives an adult (18+) general access to Weekend Beach Festival 2019 for 4 days, Wednesday 3rd July - Saturday 6th July, and access to the camping area for 5 days, Wednesday 3rd July - Sunday 7th July. 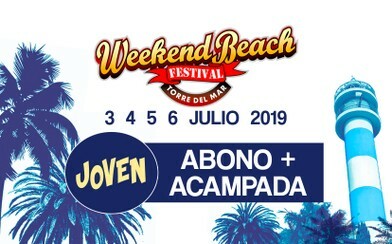 This ticket gives a minor (under 18s) general access to Weekend Beach Festival 2019 for 4 days, Wednesday 3rd July - Saturday 6th July, and access to the camping area for 5 days, Wednesday 3rd July - Sunday 7th July. Please note: - Minors aged 16 and 17 must present the signed authorization. - Children under 16 must be accompanied by a parent or legal guardian at all times and must also submit the signed authorization. 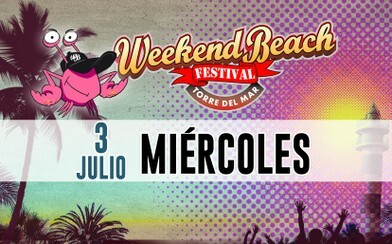 This ticket gives a minor (under 18s) general access to Weekend Beach Festival 2019 for 4 days, Wednesday 3rd July - Saturday 6th July. Camping is not included. Please note: - Minors aged 16 and 17 must present the corresponding authorization. - Children under 16 must be accompanied by a parent or legal guardian at all times and must also submit the corresponding authorization. 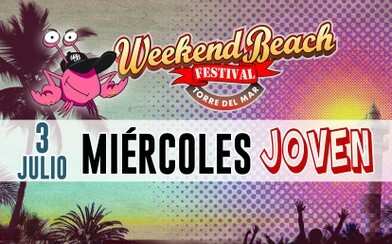 This ticket gives a minor (under 18s) general access to Weekend Beach Festival 2019 on Wednesday 3rd July. Camping is not included. Please note: - Minors aged 16 and 17 must present the corresponding authorization. - Children under 16 must be accompanied by a parent or legal guardian at all times and must also submit the corresponding authorization. This ticket gives a minor (under 18s) general access to Weekend Beach Festival 2019 on Thursday 4th July. Camping is not included. Please note: - Minors aged 16 and 17 must present the corresponding authorization. - Children under 16 must be accompanied by a parent or legal guardian at all times and must also submit the corresponding authorization. 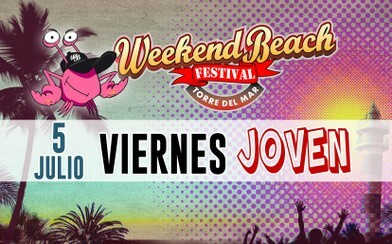 This ticket gives a minor (under 18s) general access to Weekend Beach Festival 2019 on Friday 5th July. Camping is not included. Please note: - Minors aged 16 and 17 must present the corresponding authorization. - Children under 16 must be accompanied by a parent or legal guardian at all times and must also submit the corresponding authorization. 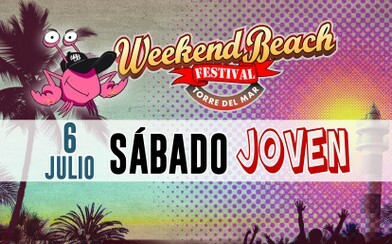 This ticket gives a minor (under 18s) general access to Weekend Beach Festival 2019 on Saturday 6th July. Camping is not included. Please note: - Minors aged 16 and 17 must present the corresponding authorization. - Children under 16 must be accompanied by a parent or legal guardian at all times and must also submit the corresponding authorization. 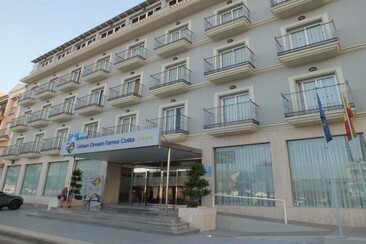 Hotel Urban Beach Torrox Costa is located in a tranquil area of the town of Torrox Costa, just a 4-minute walk from Cenicero Beach. 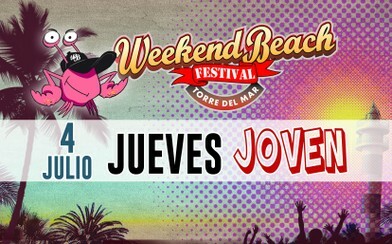 The hotel is about 7 km away from Baviera Golf and 10 km away from Aquavelis water park. The property has cafeteria, bar, conference room, restaurant and urban chill out snack & drinks. In the outdoor area, guests will find a wonderful seasonal pool and a terrace perfect for sunbathing. Five kilometres away there is an 18-hole golf course for lovers of this sport. Each of the rooms in this hotel is light, airy and spacious, ideal for relaxing in tranquillity and enjoying a typical Spanish siesta. You can also enjoy great views of the sea from many of the rooms.